Polar travel runs in Jud’s blood. His great-grandfather sewed sails for vessels voyaging up the coast of Labrador and into the Davis Strait, and a branch of his family tree contains one of Canada’s most recognized Arctic explorers: Captain Robert Bartlett. Inspired by history and innately drawn toward the poles, Jud carries on the tradition of helping people travel into the high latitudes. I live in Vermont, USA, a place populated by idealists with adventurous spirits. Travel has always been a big part of my life and the draw is always the natural world: I have been in dozens of countries and on 6 continents so far (only missing Asia) to explore mountains, oceans and open spaces. Before Swoop, I spent 15 years at the helm of my own design firm, a career where I loved being able to spend time listening and asking the right questions to make a client’s vision a reality. When I’m not behind the desk, I love spending time with my family, skiing, sailing, mountain biking and overland camping. 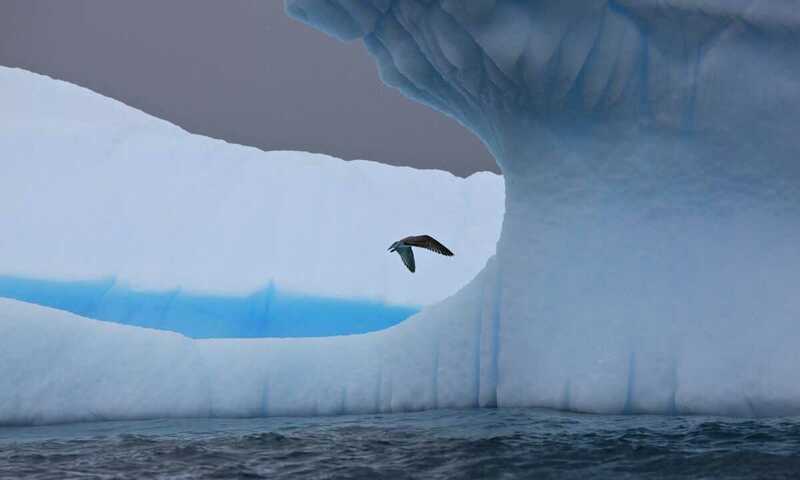 On my first trip to Antarctica, I found myself in an environment where memories were captured by each of my senses: the distinct odor of a penguin colony, the crack, rumble and crash of glaciers calving into icebergs, the play of flickering light on the horizon before sunrise, and even the sharp sting and taste of saltwater during a polar plunge. This land owned by no-one reveals itself to you differently every day, filling your senses, yet leaving you wanting more. 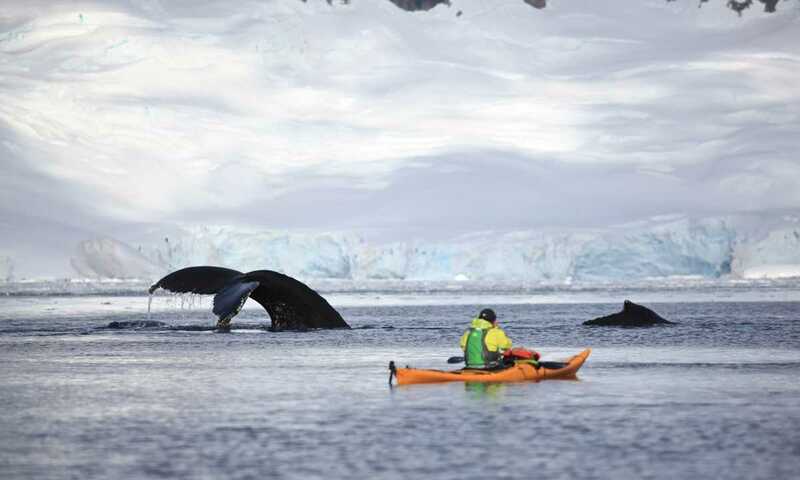 As a traveler, Antarctica has become the benchmark of comparison for my other adventures in the natural world. No two days are ever the same in Antarctica and the call of another trip to the big white will always be hard to resist. I have also traveled in the sub-polar regions of northern Iceland, Labrador and Newfoundland, which are captivating in a completely different way. The combination of light, wildlife, weather and landscape make polar trips an outdoor photographer’s dream. Color is subtle, but dramatic, and it’s a unique blend of alpine and ocean scenery. With the abundance of wildlife and the low sun angles, the opportunity to catch the shot of a lifetime might just present itself over and over again. There is always an element of the unknown while traveling in the high latitudes which satisfies my taste for adventure. After a trip to the polar regions, you realize upon returning home that a voyage to the end of the earth becomes part of who you are, not just something you have done. I love coming to work every day. Each time that I meet someone new who is looking for advice on polar travel, I get to listen and ask questions so that together we can conquer the challenge of fulfilling your dreams within the boundaries of your time and budget. I especially love talking about wildlife, glaciers, weather and photography and I have extensive experience testing winter gear! On any given day during expedition season it’s extremely satisfying to think about what each of our clients is seeing and doing. At the top of my list is a voyage into the high Arctic to follow in the footsteps of the explorer Robert Bartlett. “Captain Bob” was a Bartlett ancestor famous for his journeys into the far North, including Peary’s attempts on the pole and a Shackleton-esque rescue of his surviving crew of the Karluk after becoming icebound in the Arctic Ocean. I would also love to spend some time exploring South Georgia Island and crossing the Antarctic Circle. Closer to home, in the fall of 2019 I am planning a 10 day overland expedition to Hudson Bay that will also include a transit of the Trans-Taiga Highway, the most northerly (and loneliest) road in eastern North America.